Entries are set for Thursday’s (August 2nd) $40,000 maiden special weight race for Virginia-bred fillies/mares at Laurel. A field of six will compete one mile on turf to kick off the card. Early 9-5 favorite is Holiday Hopes (Walter Vieser); second choice at 7-2 is Kitten’s Friend (Mark Lapidus, LLC). The rest of the field includes Darter (Althea Richards), Winning Thread (Lazy Lane Farm), Daniella (Lady Olivia of North Cliff) and Wolverette (Quest Realty). Post time Thursday is 1:10 PM. 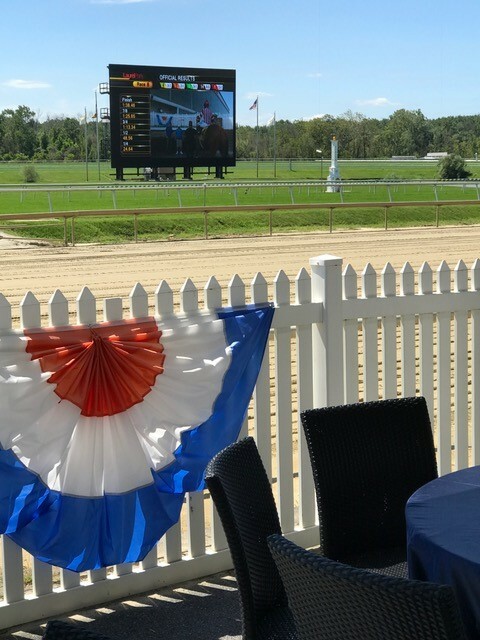 The next slate of Virginia-bred and sired stakes races in Maryland is this coming Saturday, August 4th. A four-pack of $75,000 stakes will be contested — the Hansel, Meadow Stable, William Backer and Camptown Stakes. The new owner/trainer bonus program in this series will be in effect for all five races. The draw for Saturday’s card will be on Wednesday.